Handicapper Doug Fitz (Systemplays.com) breaks down Week 12 of the 2018 NFL season. Analysis: Josh Allen appears to be healthy enough to start at quarterback for Buffalo. 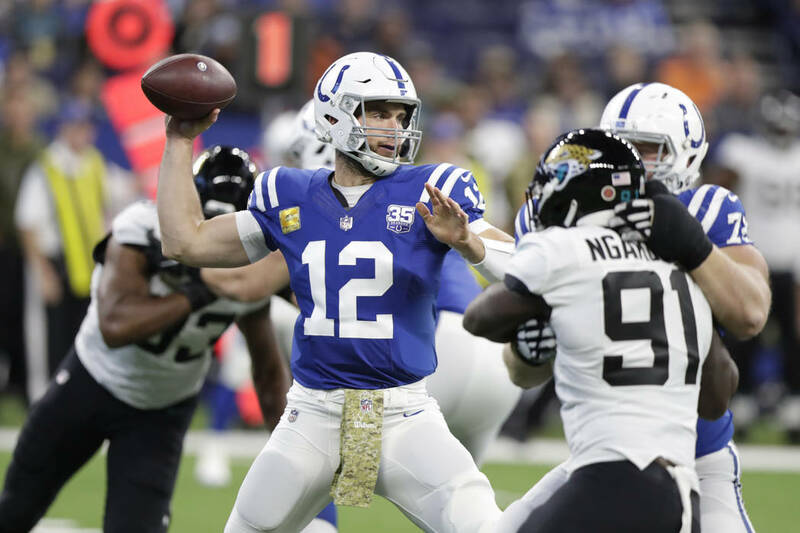 Being rusty might be an issue for him against the Jaguars, who still have the fourth-best overall defense in the NFL despite their poor record. But the Bills have the top-rated pass defense, which is bad news for Blake Bortles, who has been wildly inconsistent all year. I don’t believe the Jaguars can muster enough offense to cover as a road favorite. By the numbers: Jacksonville allows only 319.5 yards per game and 210.2 passing ypg. … The Bills’ pass defense allows only 202.4 ypg. … The Jaguars are 1-5-1 ATS in their last seven road games. Analysis: The Ravens will start Lamar Jackson for the second straight week. The Raiders are coming off only their second win of the season. Baltimore should be able to run the ball against Oakland’s porous defense. The Raiders will regress to their mean and the Ravens should win easily. By the numbers: Baltimore ran for 265 yards last week and Oakland’s defense allows 142.3 rushing ypg. … The Raiders are 26th in the league in total defense, allowing 387.4 ypg, and and are 31st in the league in rushing defense. Analysis: Jameis Winston is back as the Bucs’ starting QB. 49ers QB Nick Mullens played great in his first start but passed for only 250 yards with one TD and two interceptions in a 27-23 home loss to the Giants on Nov. 12. Neither of these teams is trustworthy but I’ll give a slight edge to Tampa Bay mostly because of its homefield advantage and top-rated offense. By the numbers: The Bucs lead the league in total offense, averaging 458.5 ypg, and passing offense, averaging 361 ypg. … The 49ers allow 344.2 ypg on defense and average 356.5 ypg on offense. … Tampa Bay is on a 9-2 over streak. Analysis: This is a tale of two teams going in opposite directions. The Eagles have lost two in a row while the Giants have won their last two games. This is a nice revenge spot for New York, which lost 34-13 to Philadelphia on October 11. The Eagles are the better overall team but it’s tough to expect them to cover, considering how they’ve been playing. I expect the Giants to be very competitive in this NFC East matchup. By the numbers: Giants RB Saquon Barkley ran for 130 yards and had 99 receiving yards against the Eagles in the first meeting. … Barkley rushed for 142 yards on 27 carries in last week’s 38-35 win over the Buccaneers and Eli Manning completed 17 of 18 passes for 231 yards, two TDs and no interceptions. Analysis: The Browns have not beaten the Bengals since 2014. But QB Baker Mayfield and RB Nick Chubb were both outstanding in Cleveland’s home win over Atlanta two weeks ago before the Browns’ bye. The Bengals are last in the NFL in total defense. The Browns get a close win in a high-scoring game. By the numbers: The Bengals allow 449.4 ypg. … The Browns’ defense isn’t much better, allowing 419.7 ypg. … Cleveland averages 355.4 ypg on offense and are fifth in the NFL in rushing, with 1,332 yards. … Cincinnati is 0-3 ATS in its last three home games. Analysis: Josh McCown is expected to start again for the Jets. The veteran journeyman completed 17 of 32 passes for only 132 yards, with two interceptions, in last week’s 41-10 loss to Buffalo. I expect Tom Brady and company to capitalize on the Jets’ anemic offense and control the game primarily by running the ball. I prefer under the total and don’t really prefer a side. By the numbers: Since 2004, the under is 48-18-1 (72.7 percent) in games with road favorites between 7 and 11½ points. … The Patriots are 4-0 ATS on the road off a bye against opponents off a bye. New England also is 6-1 ATS on the road off a bye against opponents coming off consecutive losses. Analysis: The Seahawks shouldn’t be intimidated by the Panthers and Cam Newton. They’ve faced three consecutive top-notch QBs in their past three games against the Packers, Rams and Chargers and were competitive in each game. This will be close but I’ll give Seattle the cover. By the numbers: Seattle leads the NFL in rushing with 154.3 ypg. … The Panthers are a very respectable seventh in the NFL in rushing defense, allowing 98.5 ypg. … Carolina also is seventh in the NFL in rushing offense at 130.2 ypg. … The Seahawks are riding a 24-11-3 cover streak as underdogs. Analysis: Ryan Tannehill returns for Miami after missing five games because of injury. Andrew Luck has been tremendous during the Colts’ four-game winning streak. He has completed 74 percent of his passes with only one interception. 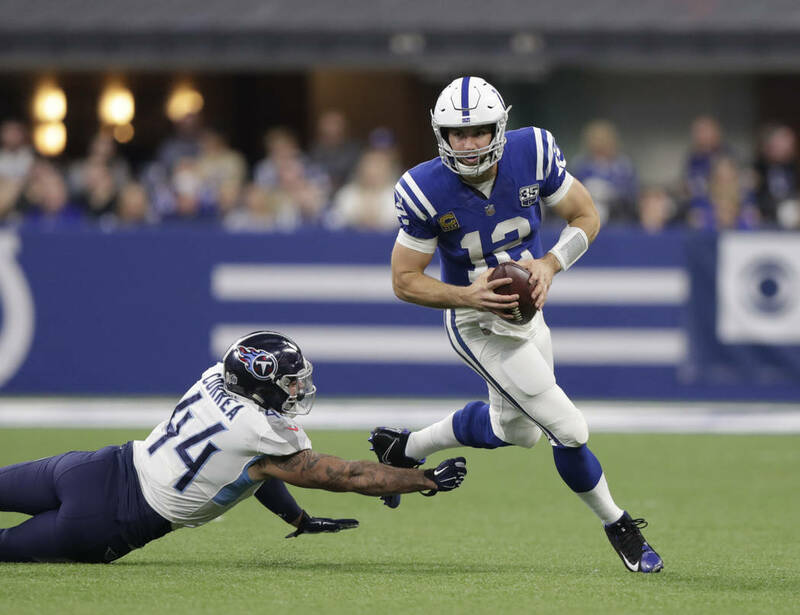 On the season, Luck has thrown 29 TD passes, which is second-best in the NFL to Patrick Mahomes. I think this number is a bit too high and I’ll side with the Dolphins to keep this closer than many expect. By the numbers: The Colts’ offensive line hasn’t allowed a sack in Luck’s last 214 pass attempts. … Indianapolis allows 364.9 ypg and Miami allows 392.3 ypg. … The Colts average 381.5 ypg while the Dolphins average 313.6 ypg. Analysis: I’m well aware that double-digit favorites have been a good bet over the last couple years. But I refuse to lay double digits in a spot that I believe clearly favors the Chargers after they lost last week at home. I’ll pass on this game. By the numbers: The Chargers are 3-9 ATS as home favorites when they have a winning record. … The Cardinals are 6-0 ATS as underdogs off a non-division game when facing teams coming off a division game. … Arizona also is 10-1 ATS after facing consecutive AFC opponents. Analysis: This is a very bad spot for Pittsburgh, which is coming off a dramatic come-from-behind win at Jacksonville last week and faces the Chargers next week. The Steelers are due for a big letdown and I wouldn’t be surprised if Denver wins straight up. By the numbers: The Steelers are 2-12 ATS as road favorites against AFC West teams since 1980, including 0-9 ATS when favored by more than three points. … The Broncos are 9-1 ATS as home underdogs against opponents with a .500 record or better. … Since 1980, Denver is 15-1-1 ATS as a home underdog coming off a division game. Analysis: If this number stays at 3½, I recommend the Packers, who are in a must-win situation. Green Bay is always a live underdog in division games as long as Aaron Rodgers is playing. By the numbers: When the Packers have been under .500 with Rodgers, they’re 21-8 SU and 18-10-1 ATS. In division games with the same parameters, they’re 9-1 SU and 8-2 ATS. … Rodgers is 42-15-1 SU and 38-20 ATS in division games and 17-4 SU and ATS in division games coming off a loss, including 6-0 ATS on the road. … Green Bay is on a 12-6 over run. Analysis: Marcus Mariota will start for the Titans. Both teams’ power ratings are dead even, according to the numbers I use. This number is too high for a division game. The inflated number is an overreaction to the Titans’ poor performance in last week’s 38-10 loss to the Colts. By the numbers: The Titans are 6-1 SU and 7-0 ATS on Monday nights. … Mariota is 7-3 SU and 8-2 ATS in division games coming off a loss. … Tennessee is 6-1 ATS as an underdog this season. … The Titans are on an 11-5 under run. More Betting: Follow all of our betting coverage online at reviewjournal.com/betting and @RJ_Sports on Twitter.